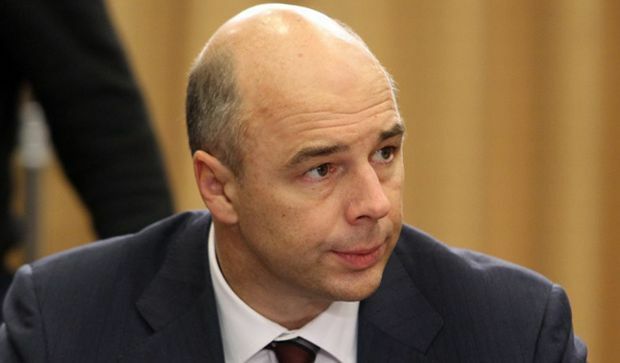 Russia regrets Ukraine has preferred default to talks, Russia's Finance Minister Anton Siluanov said commenting on Kyiv's announcing of moratorium on settling the outstanding debt to Russia, according to Russian news agency TASS. "Russia acknowledges yesterday's decision of Kyiv to announce a moratorium to settle the debt to Russia. We are sorry Ukraine decided to announce default instead of having talks on the suggestion, the Russian president voiced at the G20 summit in Antalya in November this year," he said, TASS wrote. At the G20 summit in Turkey, Vladimir Putin said Moscow suggested extending term of the Ukrainian debt for 2016-2018, where $1 billion is payable annually. The president said Russia was not simply agreeing to restructure the Ukrainian debt, but offered conditions better than those requested by IMF. The finance minister also said Ukraine's announced moratorium does not cancel its obligations to settle the debt. "The due date for settling $3 billion and the coupon is December 20, Sunday, thus the payment should be made on the following business day – which is Monday, December 21," the minister said. "Ukraine's announced moratorium does not cancel its obligations to settle the debt. The obligations remain in force, and the Russian Federation expects they will be observed fully," Siluanov said. Russia will file a suit if Ukraine fails to settle $3 billion before December 31, the minister said. "IMF has confirmed the debt is official, but Ukraine has not made any suggestions, which could be based on acknowledging of the debt's official status. If Ukraine does not settle the due sum within the beneficial term to December 31, Russia will file a suit to recover the debt," he said. As UNIAN reported earlier, pursuant to the current legislation and debt liabilities assumed, Ukraine announced a moratorium on any payments of the Russian debt, including payment of $3 billion borrowed under Viktor Yanukovych's presidency and which reaches maturity in December 2015, Ukrainian Prime Minister Arseniy Yatsenyuk said during an extraordinary meeting of the government. Total debt subject to the moratorium exceeds $3.58 billion. The Prime Minister stressed that any payments under the above-mentioned debts to Russia totaling $3.58 billion would be stopped from today "until the acceptance [by Russia] of Ukraine's restructuring offer or the issuance of the relevant court decision." On December 16, 2015 the Executive Board of the International Monetary Fund (IMF) decided that the claim arising from the $3 billion eurobond issued by Ukraine on December 24, 2013 and held by Russia's National Wealth Fund is an official claim. The Ukrainian Finance Ministry issued a statement claiming that Ukraine was not able to repay a $3 billion debt owed to the Russian Federation in accordance with its initial terms without violating the financing targets established under the IMF Extended Fund Facility. At this, the ministry underlined that the terms of the new Ukrainian sovereign bonds issued on November 12, 2015 specifically provide that a payment default or other event of default under the December 2015 eurobonds would not constitute a cross-default under the new bonds.